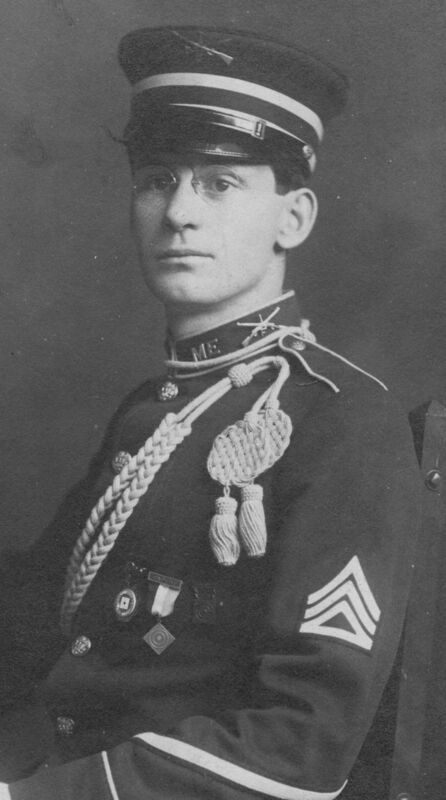 Sergeant, Maine National Guard, c. 1910. 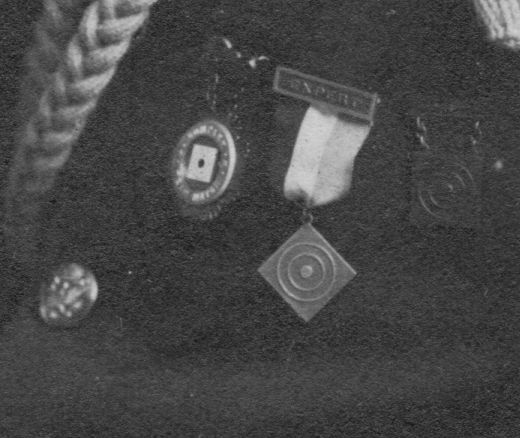 Wearing three marksmenship medals, this is a sergeant of Company F of the Maine National Guard’s 1st Infantry Regiment, which was at Sanford. 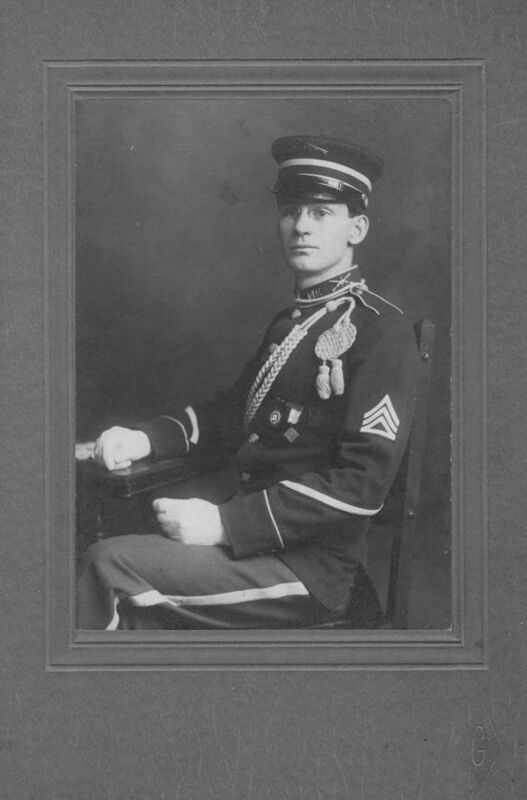 In 1906 Sergeant Frank C. Thompson re-enlisted in Company F. If the name on the back of this photograph (Rosa Goodall Thompson) is a clue, perhaps this is Frank C. Thompson’s portrait. He later became an officer, and won revolver marksmenship competitions. 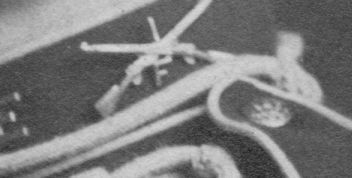 Before World War I, the 1st Infantry had been disbanded, and the National Guard unit in Sanford was the Sixth Company, Coast Artillery Corps, in which Captain Thompson also served.